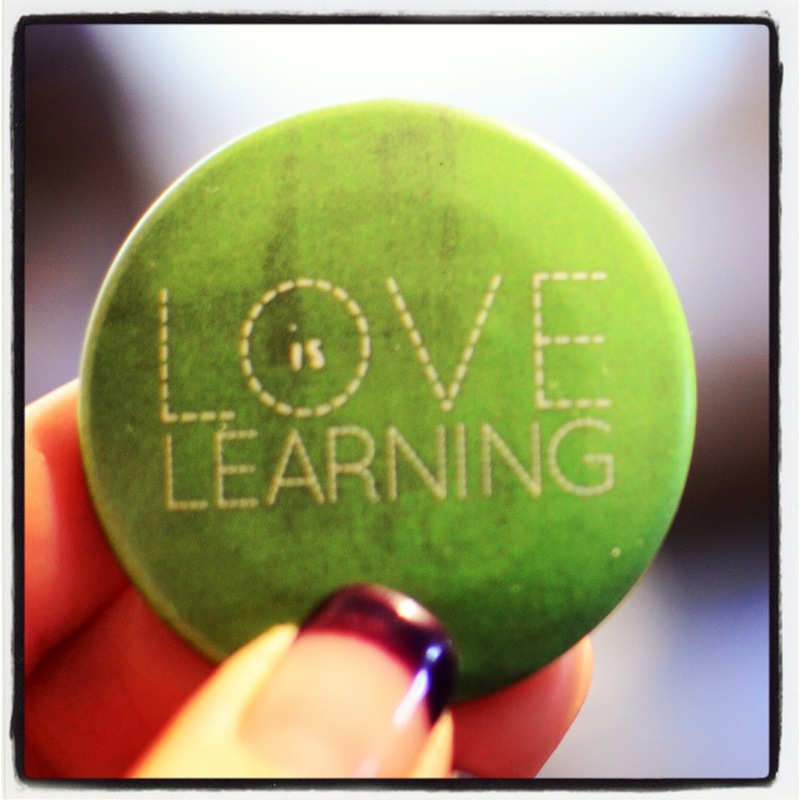 It's All About Learning | A blog documenting my learning, as an educator, a leader in education, a mother, and an amateur photographer. Here I am starting yet another new chapter in this journey called life. At the end of February, I decided to leave elementary school administration and head back to my passion of teaching in the classroom. You can read about that here. After a challenging time personally and professionally, I needed to find my passion again … why did I become a teacher? Why did I become an administrator? What was my purpose? Has that purpose changed? Developed? Evolved? It has been a process for sure that started with some health concerns and evolved into focusing on my word of the year for 2018, Perspective, which you can read about here. On February 24, 2018, I was at the beginning of making a pretty big decision in my life. Don’t get me wrong, I’ve made some pretty big decisions in my life, particularly in the last 4 years or so, but this one was equally important on my journey of healing and road toward striving to reach my authentic self. It was on this day that I decided I no longer wanted to be a principal. I wanted to return to the classroom. After 12 years as an elementary school administrator, and after a very challenging year as an elementary school principal, I longed to connect to my passion that made me strive to be an educator so many years ago. As an administrator, particularly in the last 6 months of my admin career, too much emphasis had been on the negative. Too much emphasis had been away from student-learning and growth and focused on other factors which took time away from truly making a real difference as a school leader – a real difference in the lives of educators and their students. A large part of 2017 was filled with anxiety, apprehension, and worry surrounding a health issue. In turn, this year was also filled with a great deal of personal reflection. In the personal reflection, many questions came up for me. Questions which needed further reflection, thought, and counselling. Also during this time, was a search for ways to lessen stress and bring more calmness into my everyday life. I am sharing this in an effort to help others, to be a voice when others may be struggling to find their words. If you, or someone you know, think that you may need the support of a Transition House, give them a call. Reach out. Ask for help. It was one year ago tonight that my three young children and I entered the Libra House Transition House through Ishtar Transition Housing Society. It was one year ago we began to meet some of the most caring, thoughtful, generous women I’ve ever met in my entire life. One year ago today, I gained enough courage to move forward. One year ago today, I asked for help. One year ago today, I accepted support from others. One year ago today, I gained the strength of many. One year ago today, my healing journey began. One year ago today, I started to value myself. One year ago today, I started listening to myself. One year ago today, I started to trust in myself again. One year ago today, I started understanding that my normal, wasn’t really “normal”. For the past few years, there has been a prominent movement toward making sure people (particularly kids) know that they matter. It is a wonderful, very important message that I feel like people can’t hear enough. You can read more about the You Matter Manifesto through Angela Maiers’ site. You can also find a wide range of inspiring ideas and posts on Angela’s Twitter stream. Check it out! You can even get a free copy of Angela Maiers’ new book: Genius Matters which has wonderful stories and helpful lessons to continue to spread this movement. It was Friday morning and my classroom was empty. The students had just left with the teacher who helps them exchange their library books for the week. A few minutes after my students in Grade 1 and 2 left the class, in walked in another student. He was a few minutes late and had his usual huge smile on his face. He’s 6 years old and in Grade 1. He’s absolutely adorable and has a huge heart. His smile is infectious and always lights up my day. So, with the two of us alone in our class, I said, “Good morning, Joe! Your parents must feel so fortunate to have such an amazing son who is always so happy!” (Joe is not his real name.) Joe’s smile became even bigger! And, then, away he went to the library with his book to be exchanged in his hand. After school, I happened to be talking with Joe’s mom. She was dropping off some school notices which she felt she was late in returning to school. She was berating herself a little bit, saying that she was having a hard time getting things together. As a mom of 3, it is not easy to keep on top of all the things we need to do as moms. I felt for her and just simply said that it was okay and that it was important that she just be kind to herself. I went on to say that we are all just doing our best and that she is doing a wonderful job. As I wrote about recently, I had the pleasure of participating in the BCPVPA Short Course for administrators last week. We had many inspiring speakers, great connections with administrators from around the province and heart-felt conversations about kids and the future. On Friday, we had the pleasure of learning from Judy Halbert and Linda Kaser. I always enjoy listening to them and being pushed to think as a result of their powerful questions. Much of their work over the years is associated with the Network of Inquiry and Innovation (previously known as the Network of Performance-Based Schools). They have written a wonderful book, Spirals of Inquiry, which is an easy read, full of local success stories and inspiration (along with a bit of research with the why behind inquiry). They have also been involved with the Aboriginal Enhancement School Network and Changing Results for Young Readers. To say that these two leaders in education have had a huge impact in learning around the province and the world, would be an understatement! Sometimes, I think we as individual educators do not realize the ultimate power we have over what we do. Oftentimes, I think that we wait for others to lead us and to show us what is out there. Don’t get me wrong, learning from others is essential. Collaboration in today’s world is imperative. What we should avoid is sitting back and waiting for something to happen. Sitting back and waiting for things to change. Sitting back and waiting for someone to teach us. That’s not how things work today when we have everything and everyone at the tip of our fingers. Knowledge is everywhere. Information is everywhere. Learning is everywhere. It is important for us to find and follow our passions and get out and learn. We are in charge of our learning. 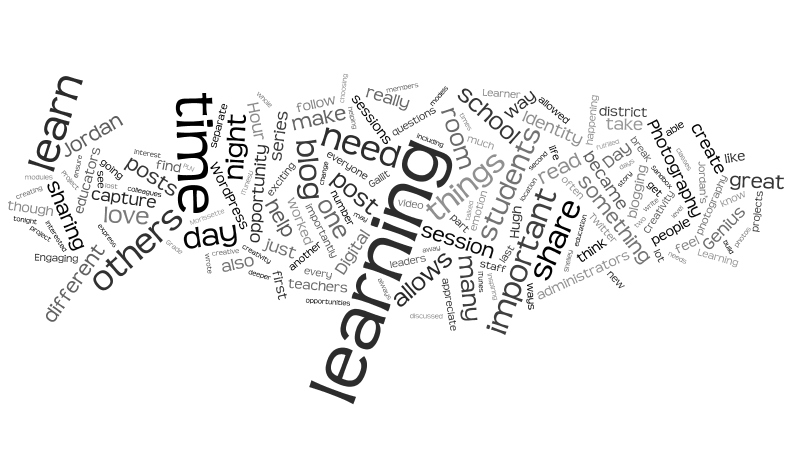 Gone are the days of passive professional development. Inspiring people like Karen Lirenman (Celebrating our Youngest Learners), Gallit Zvi (Genius Hour), Diana Williams (Kiva), Iram Khan (Minecraft and Maker Space), Robyn Thiessen (Global Education) and many, many others have been models in what it means to take charge of their learning. They were introduced to things, got involved, made connections, learned deeply, and then just let these passions drive them. They allowed these passions do drive their teaching and their student’s learning. No one told them they had to. No one told them what they would get out of it, they just did it. They took ownership over their own learning and the, to a certain point, the curriculum and magic has happened.